I turned off my phone. The doorbell rang before I even had a chance to feel guilty for not answering. I threw the covers over my head and lay there, eyes wide open. It rang again. Can someone please get the door? I’m too busy feeling sorry for myself to get up. I groaned as I pulled myself from under the covers and flung my legs off the edge of my bed. The UPS man was going to get an eyeful because I didn’t even have the energy to pull my sleep pants on. The super huge t-shirt I wore to bed was longer than some skirts I had. I would just have to reach around the opened door, sign something on his little clipboard and throw the package on the hall table before jumping right back into bed. No one was home. I could have slept all day. Stupid delivery guy. But when I rounded the corner into the foyer, I could see Noah through the side window to the right of the door. My heart slammed its next beat so hard I was sure someone standing in front of me would have seen my ribcage lunge forward. “What do you want?” I said the words on my side of the window. He didn’t need to hear me, he had to be expecting something like that. He knew I wouldn’t be happy to see him. I was pissed that he was at my door. Flashes of my birthday night coursed through my mind one by one. I winced and squeezed my eyes closed hoping to wring the images from my head. “Gracie, I know you don’t want to open the door, but I need you to listen to what I have to say.” He was talking louder than he needed to for me to hear him. I was instantly annoyed. I shuddered. “So talk.” If I kept a locked door between us, I could walk away whenever I’d had enough. “Okay, I’ll talk through a window if that’s the only way you’ll listen.” He waited a couple seconds like he thought I’d have a change of heart and open the door. When he saw that was not in his cards, he started talking. I leaned my forehead against the cool glass and watched his lips form words that proved introspection, self-awareness and a level of thought so deep I could do nothing but hold my breath and wish he wasn’t doing this to me. “Gracie. I haven’t had a solid example of how to show love or how to accept it. At least not the depth of love you are willing to give. I don’t know how to reciprocate that without feeling terrified. I never expected to fall so hard for you. I never thought I could love someone so hard it hurt. But I can. I do. The window steamed from the warm breath escaping between my lips. I remembered the conversation I had with my mom. She said only if it was of their own volition could someone truly make a change. I couldn’t believe what was happening in front of me. A huge part of me didn’t want it to be happening because Noah and I proved to be a disaster. I knew I couldn’t handle one more blow from him. My sanity was already climbing the walls. But, as if they had minds of their own, one hand turned the deadbolt and the other opened the door. Cool air across my thighs reminded me I was still only in a t-shirt. I motioned for Noah to follow me back to my room. I needed to put more clothes on so he didn’t ruin his heart-felt apology by making a move on me. He sat on my bed and I pulled sweats off the hook on the back of my door and slid myself inside them. I sat down next to him. He took my hands in his. “Noah, you just described what you have done to me, over and over and over. You have split my heart wide open so many times because, unlike you, I don’t know how to guard my heart. I opened it to you almost two years ago, and I’ve been giving you all I have ever since. I can’t turn it off, I don’t know how. So, when you pierce me with your hateful words, the pain is palpable. It takes me to my knees.” There was no holding back the tears. I didn’t even try to. I was done walking on eggshells. Again. That’s when he did something I never thought I’d see. He fell into my lap and cried like a baby. I had taken all the pain he had inflicted on me and threw it straight to his heart before he had the chance to get that wall back up. 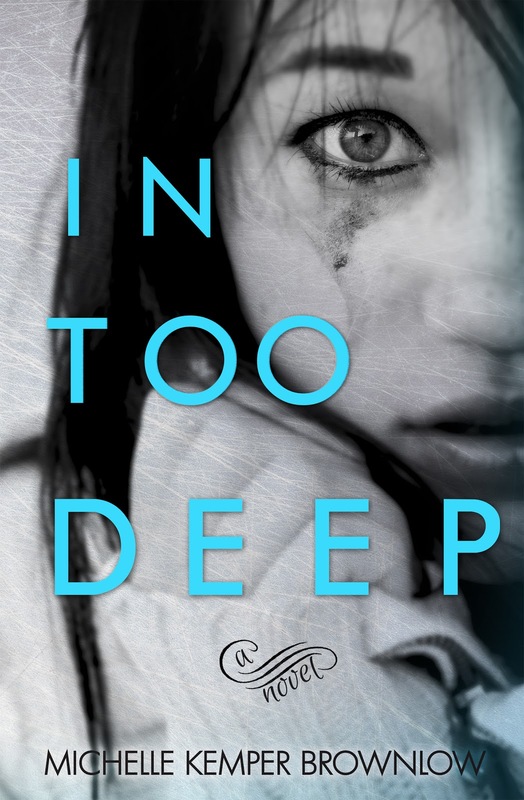 IN TOO DEEP is a very emotional read, or at least it was for me. I absolutely loved the book. My review contains some quotes that some may see as spoilers. Noah was your typical bad boy who was in the fraternity Sigma Chi. Noah was a total womanizer. He knew he was gorgeous and could have any girl he wanted. That was until he laid eyes on Gracie. Gracie was innocent and very naïve. Gracie is scheduled to work a shift at the local pizza joint and when she finds out she is scheduled to work with Noah, she is immediately scared. She has heard stories about Noah from some of the other employees. When her eyes meet Noah, she is immediately attracted to him. She feels things for Noah that she has never experienced before. Gracie and Noah begin to hang out and spend time together, and feelings begin to develop between the two of them. I was routing for Noah in the beginning of the book. Bad boy changes and falls in love with the innocent good girl. My feelings for Noah changed very quickly. Just about as quick as Noah's personalities changed throughout the book. At times, I thought Noah was bi-polar. Noah seems to have multiple personalities. Gracie never knew which Noah she was going to encounter on a daily basis. Noah was the fraternity boy who pulled girls under. Gracie was the good girl who finds herself in to deep. Gracie was VERY innocent and Noah preyed on that. Noah would mistreat Gracie and push her away. He thought if he apologized to her and told her how much he loved her, he would woo her back. It appeared that Noah knew exactly how to play on Gracie's emotions. Gracie was losing herself in her relationship with Noah. Gracie didn't even recognize her own reflection in the mirror anymore. If the person continues to make the same mistakes, can you forgive them? If they continue to make the same mistakes over and over again, does that define who that person truly is? Gracie has two best friends, Jake and Sam, who she met through Noah. Jake screamed HOTNESS!!! He had broad athletic shoulders, defined arms, crystal blue eyes, gorgeous smile and chocolate brown hair that was just a little curly when it got too long. Jake was Gracie's rock, the person who she could tell anything to. Sam was HOT as well. He had blond surfer hair, hazel yes, built to kill and an awesome personality. These two guys were every girls dream guy. Jake and Sam were Gracie's "safe place", no matter what was going on in Gracie's life, she knew she could always count of Jake and Sam. Jake always listened to Gracie and offered her a shoulder to cry on. Jake was a complete sweetheart. Jake was always honest with Gracie. Jake has always been there to offer Gracie his shoulder to cry on and his warm embrace to help heal her shattered heart. He walked over to me and wiped my tears. He took my face in his hands. I hated Noah and there were times I felt I couldn't continue to read anymore because I was so angry with him. I actually felt the pain Gracie was feeling... I understood what Gracie was going through because I was in a similar situation. I connected with Gracie. I was routing for her and I wanted her to dig deep down and find her inner strength. I was so happy that she finally stood up for herself and realized that she deserved better and she wasn't going to settle. Gracie had to hit rock bottom to realize that she was in too deep with Noah. 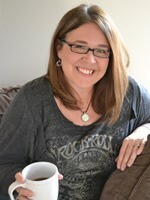 Gracie needed to know her own self worth, to realize that she deserved so much better than what she had with Noah. Gracie needed to know that she could be loved for being herself; little did she know she already was loved by someone very special to her. It may have just taken Gracie a little bit longer to know she deserved to be loved and cherished. Could Gracie open her heart again and welcome love again? Will Gracie forgive Noah again? Is Gracie in too deep with Noah to want to walk away from the relationship? Boy does that quote sound familiar. It is funny because Michelle and I were having a conversation while I was reading this book. I said the same exact thing to Michelle and to read it the next day, hit me like a ton of bricks. Michelle did a fabulous job with this story. I think a lot of people can relate to Gracie's situation. It was scary at times, I felt like I was reading what my life was like when I was 22. But we all grow from our mistakes. We can only hope that we don't make the same ones. What doesn't break us, only makes us stronger. I recommend this book to EVERYONE. It is an emotional book and will definitely pull at the strings of your heart. I look forward to reading the 2nd book in this series. I am anxious to see what the future hold for Gracie, Jake and Sam. IN TOO DEEP hit three genre-specific best seller lists on Amazon the day before its release. IN TOO DEEP’s sequel, ON SOLID GROUND, will be released sometime in December 2013.